Hyderabad, Feb 28: Here comes the first look poster of Srijit Mukherjee's Vinci Da and it is intense and intriguing, to say the least. The poster features Ritwick Chakraborty and Rudranil Ghosh in the lead roles. 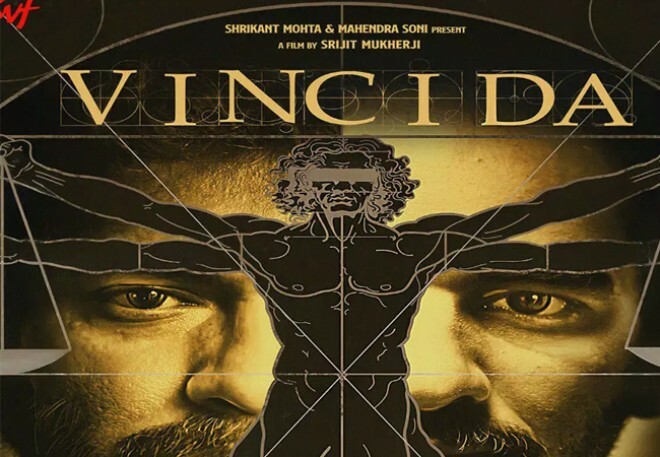 Vinci Da is a thriller involving the cases of serial killing and gruesome murders. The film is slated for an April release. Bankrolled by SVF, Srijit is going to bring a dark thriller after Baishe Srabon and Chotuskone. Anupam Roy has scored the music for the same.